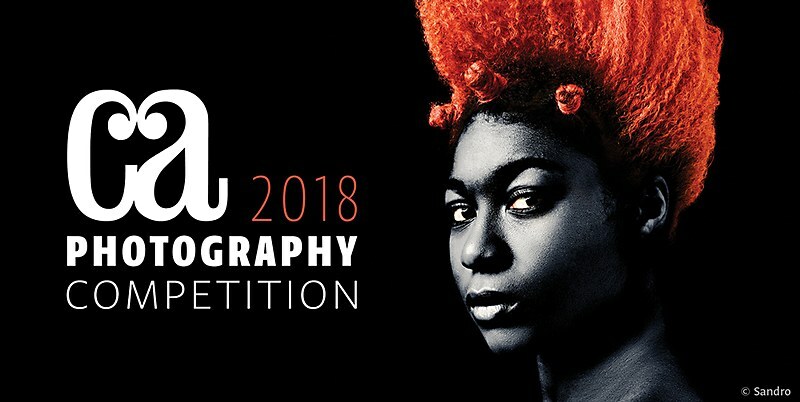 Enter the most prestigious competition for creativity in photography, the Communication Arts Photography Competition. Any photograph first published or produced from March 2017 through March 2018 is eligible. 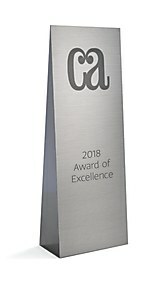 Selected by a nationally representative jury of distinguished designers, art directors and photographers, the winning entries will be distributed worldwide in the Communication Arts Photography Annual, in print and digital editions, and on commarts.com, assuring important exposure to the creators of this outstanding work. As a service to art directors, designers and art buyers, a comprehensive index will carry contact information of the photographers represented. Photography Competition FAQs: Frequently Asked Questions about applications and file formats. Any photograph first published or produced from March 2017 through March 2018 is eligible. Entries may originate from any country. Explanation of the function in English is very important to the judges. Submission of entries acknowledges the right of Communication Arts to use them for publication and exhibition. Motion/Cinematography: time-based media for film, television, video or web, etc. Self-Promotion: promotion for photographers, design firms, ad agencies, art schools, printers, paper companies, etc. Student Work: photography or cinematography projects created for school assignments. Entries must be registered no later than Midnight (Pacific Standard Time), March 9, 2018. Entries registered after that date require a late fee of $10 per entry. No entries can be registered after March 23, 2018. Each photograph is a single entry. A printed piece with several photographs must have a dot or some other mark indicating which specific single photograph is to be judged. If a single photograph isn't indicated, the entry will be disqualified. Campaigns or series are limited to five photographs. If the entry has more than five photographs, indicate which five are to be judged. If this isn't indicated, the entry will be disqualified. Print Entries: Must be unmounted and sent to our office by mail/courier. Each photograph is a single entry. A printed piece with several photographs must have a dot or some other mark indicating which specific single photograph is to be judged. If a single photograph isn't indicated, the entry will be disqualified. Campaigns or series are limited to five photographs. If the entry has more than five photographs, indicate which five are to be judged. If this isn't indicated, the entry will be disqualified. Do not tape series together. Any project over 18" x 24" must be submitted as digital images. Motion/Cinematography Entries: Must be in MOV, MP4 or MGPG format, with a maximum file size of 1 GB. Include 4 seconds of black, no slates or bars, at the beginning of each video and 2 seconds at the end. No entries will be returned. NO EXCEPTIONS. CA is not responsible for damage or loss of any entry. All entrants grant Communication Arts the right to reproduce work selected in the Photography Competition on the Communication Arts website and in materials used to promote the magazine, the competition and/or future related promotions. After the March 9, 2018 deadline we will accept entries for two weeks but a late entry fee of $10 per entry is required. No entries can be registered after March 23, 2018. If you need to change anything about your entry, please contact us at competition@commarts.com and include your entry set number. Yes, but all work in a series must be part of the same campaign. When works are submitted as a series they are judged together as a group. The overall strength of the series depends on each individual piece and its function within the campaign. What do you mean by “unmounted”? Please don't mount your projects onto a board. Projects that are mounted become very heavy and are hard for us to handle. The entry instructions state, “Do not send original pieces of art you want returned.” What does that mean? It simply means that you should not send original photographs or artwork because they will not be returned. I have a single brochure/poster/self-promo piece that has several photographs on it. Why is it a series and not a single entry? The judges of the Photography Competition are only judging the photographs, not the typography, design or art direction. 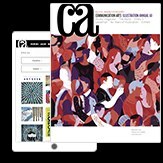 (Entrants who want the design or art direction of their pieces to be considered should enter them in the Advertising and Design competitions.) Each photograph is a single entry. Therefore, a piece with several photographs must be considered a series. There is a maximum of five images in each series; if a piece is entered and there are more than five images on it, the five that are to be judged must be marked in some way. You retain all rights to your images. If selected, you will need to grant us the right to reproduce the image or images for our online, digital and print-based publication. Judges are not permitted to vote on work they were directly involved in. Print entries are spread out on tables by category. Most categories require several room setups. Each juror views the entries independently. Any juror can put an entry into the final voting by picking it up from the table. Digital and motion entries are selected by checking an “in” or “out” column on prepared scoring sheets. For finals, print entries are again spread out on tables by category. Two paper cups, one white and one red, with slots cut in the bottom, are placed upside down to the right of each entry. White cups are for "in" votes, red cups for "out." Each juror votes with different colored ceramic tiles by putting his or her tile in the appropriate cup. After all the jurors finish voting on print, they move to another hall for digital files and motion entries. Again, voting is done by each juror checking the “in” or “out” column on scoring sheets. Meanwhile, in the print hall, a check of the tile colors tells the Communication Arts staff if a specific juror has missed a piece and he or she is called back to vote. After the judges make their selections, their votes are tallied. A simple majority is usually required for a finalist to be selected a winner. Any project created for a school assignment. Personal unpublished work must be submitted in the Unpublished category. No. Do not upload screenshots of video entries. The jury will only judge the screenshots and not the video.Questions about what to enter, how to enter and other frequently asked questions can be found in the Photography Competition FAQs. 2) Digital files must be RGB in JPG format with a maximum width of 1024 pixels and a maximum height of 768 pixels at 72 dpi. NO EXCEPTIONS. Do not rotate vertical images to be horizontal. 3) All physical entries, printed entries or entries on disks, must have an entry form attached to the back. Do not send any work without an entry form attached. Entry forms will be automatically generated for you at the end of the submission process. 4) If you enter a project in multiple categories and wish to submit printed samples, you must send an additional sample for each entry with the corresponding form attached. 5) Pack entries carefully. Do not send work in poster tubes as they are frequently damaged in transit. 6) Each photograph is a single entry. A printed piece with several photographs must have a dot or some other mark indicating which specific single photograph is to be judged. If a single photograph isn't indicated, the entry will be disqualified. 7) Campaigns or series are limited to five photographs. If the entry has more than five photographs, indicate which five are to be judged. If this isn't indicated, the entry will be disqualified.